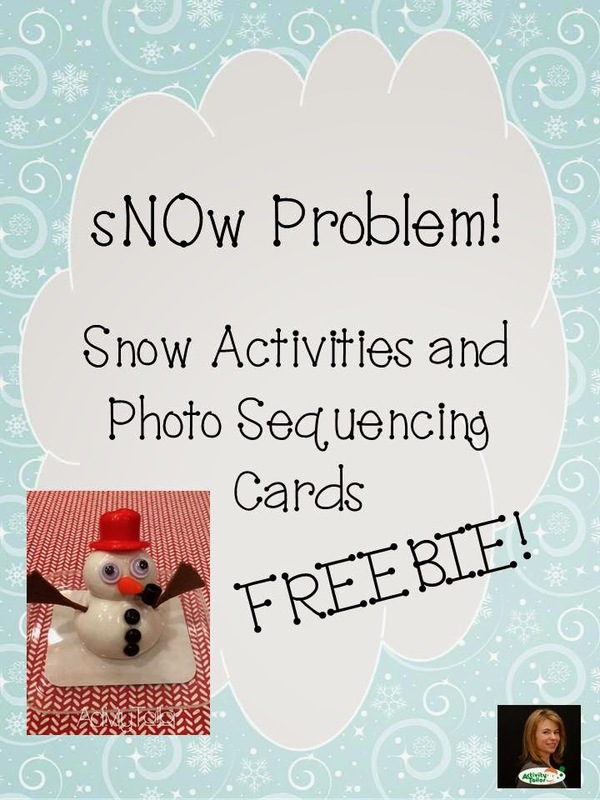 Speechie Freebies: Photo Sequencing Cards for sNOw Problems! Regardless of whether or not the weather cooperates, I still like to do some snow themed crafts and activities in my therapy room. This year we even made "snow!" I have a few students working on sequencing goals, so I made a nice stack of photo cards to help us organize our thoughts about what was likely to happen, what did happen and then relay it back in a nice narrative. Wishing you sunny days ahead and a happy Valentine's day!